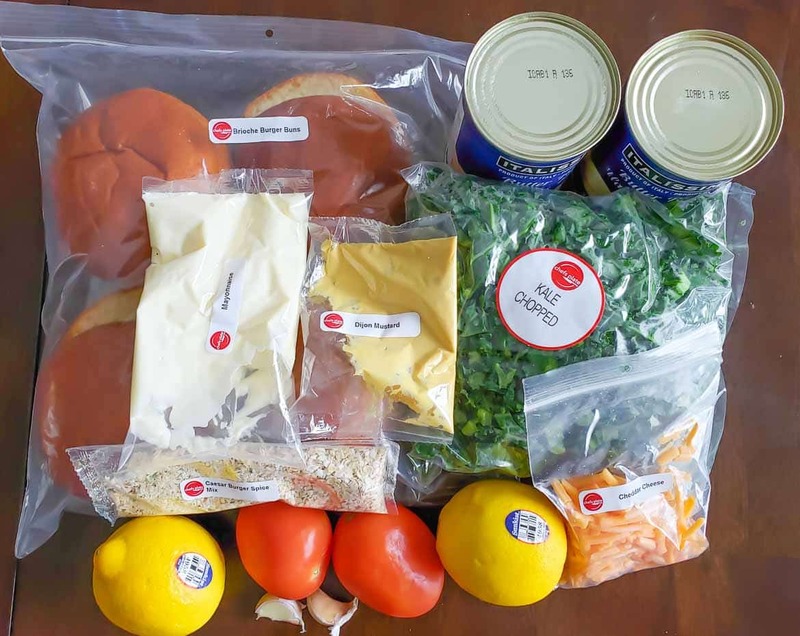 In this Chefs Plate review, I share our family’s experience trying the meal kit delivery service. 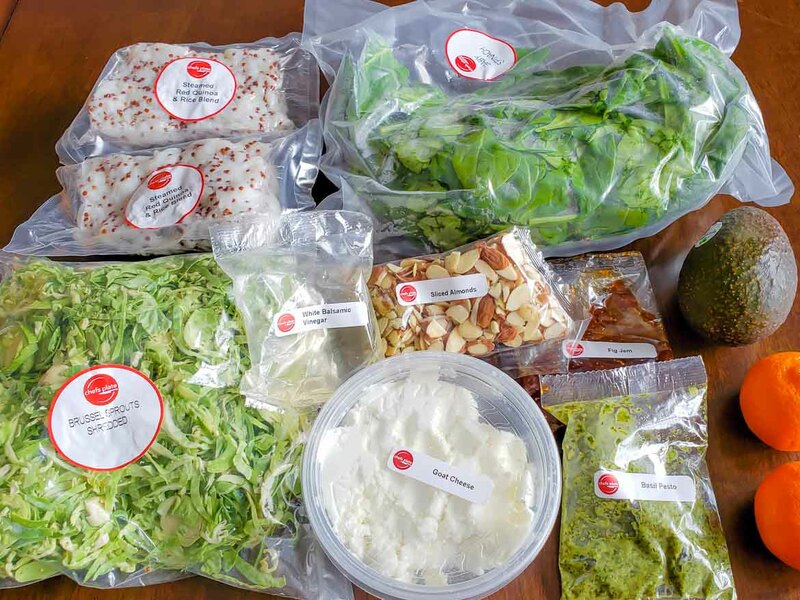 Chefs Plate is a Canadian meal kit delivery service that delivers ingredients and recipes to your door weekly, and you make the recipes at home. If you’re ready to try Chefs Plate, and don’t want to read my entire review, you can use my link to get 50% off your first box. That’s a great deal! If you’ve been on Facebook at all lately, you’ve probably seen ads for different meal kit delivery services, or even seen your friends posting about getting one. There are plenty of meal kit delivery services, but today we’re going to give you our personal verdict on Chefs Plate. As a food blogger, I create a lot of recipes, and cook a lot, but there are still times that I’m exhaused of shopping, and just tired of everything that we normally make. 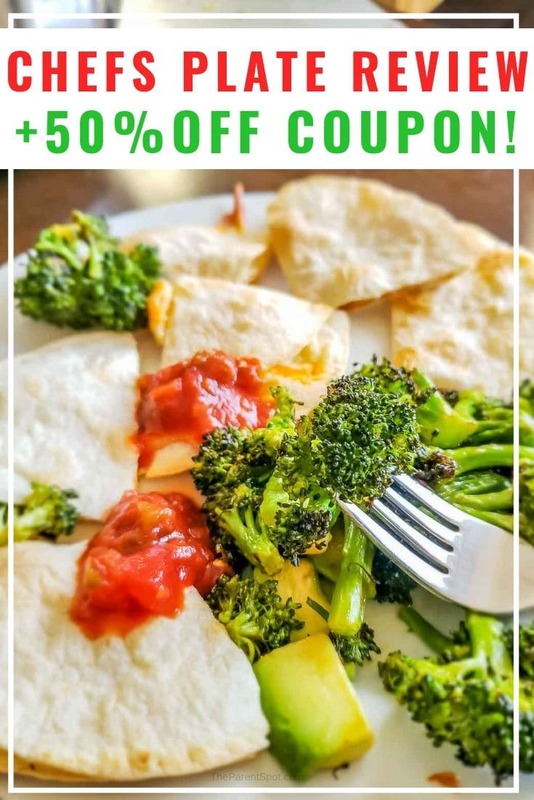 We get takeout occassionally, or pop out to a restaurant, but that’s a bit pricey, and I honestly find our options eating out aren’t as healthy as at home. I’m pretty tired of eating the same old thing for dinner, so I’ve been looking for interesting new recipes to try. A meal delivery kit like Chefs Plate appeals to me because it gives me a break from meal planning and shopping, but also makes trying healthy new recipes easy. 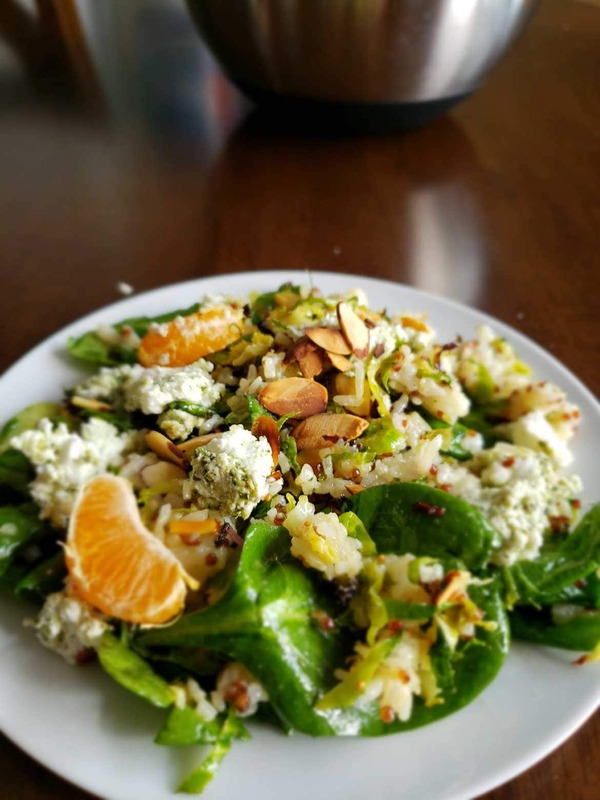 We tried HelloFresh (see our HelloFresh Canada Review), another meal kit delivery service last year, and really liked it, so I was interested if we would like Chefs Plate. 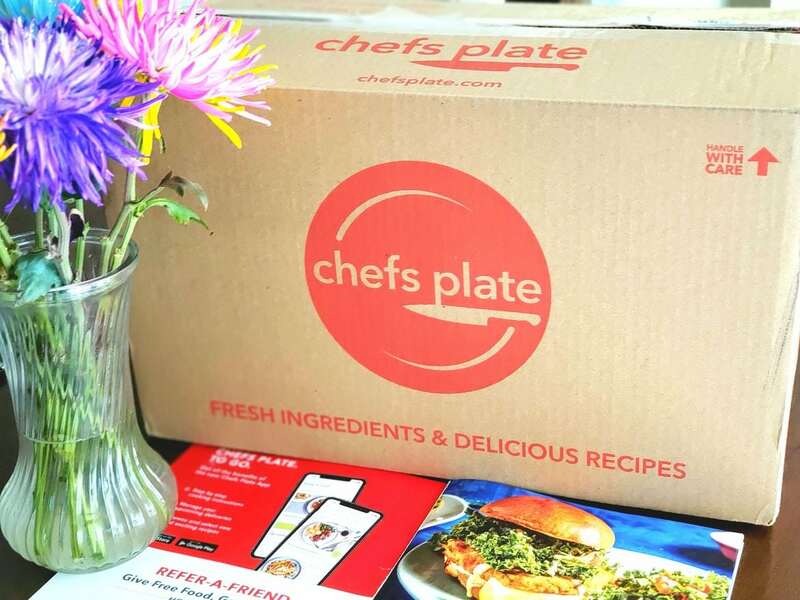 Overall, I can say my experience with the Chefs Plate Canada meal delivery service was overall a very positive one. The food was fresh, the recipes were easy to make, and it gave me a bit of a break from meal planning and shopping. There are four main plans. You can learn more about each plan here, but here’s a quick overview. Classic. The Classic plan has meat, vegetarian, seafood, 30 minute and 15 minute recipes. Family. The family plan comes with 4 servings, and a mix of easy kid-friendly recipes, including 15 minute meals. 15 Minute. Recipes that get dinner ready in 15 minutes. Vegetarian. The Vegetarian plan has lots of fresh produce, whole grains, and plant-based protein sources. For each plan, you can choose 2, 3 or 4 recipes. Something I like about Chefs Plate is they help you customize your box based on the Taste Preferences you cheose. You can select not include dishes with ingredients such as pork, shellfish, beef, and so on. How much is Chefs Plate? With the 50% discount you can get with my link here , the Classic Plan costs $29.97 for 3 recipes, of 2 servings each. That comes to $4.99 per serving. Delivery is free with 3 recipes or more. If you’re ready to try Chefs Plate, you can use my link to get 50% off your first box. That’s a great deal! 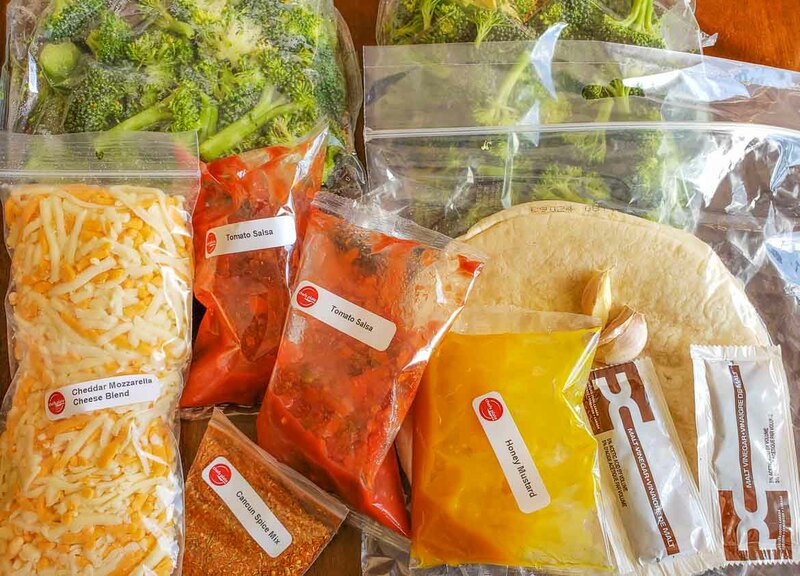 What’s Inside A Chefs Plate Meal Kit? Our Chefs Plate kit came in an insulated box, and was dropped off at about 3 pm – just in time to start making supper. Inside there were three bags with ingredients for 3 different recipes, ice packs, and recipe cards. See the video for more on all of that. Overall, I was really impressed with how fresh the ingredients were – there was nothing in the box that wasn’t perfectly fresh. I really liked the recipe cards – they were easy to follow, with helpful pictures, and a helpful list of things you’d need for each recipe, like olive oil or a frying pan. I did find that there was a fair bit of packaging, with most ingredients in plastic wrap. Chefs Plate does say that everything is recyclable – more on that later. We tried the Vegetarian meal kit, with three recipes. Because we’re a family of four, we ordered the package that came with four servings per recipe. The first recipe I made from Chefs Plate was the goat cheese and pesto salad. Yum! I loved this recipe. 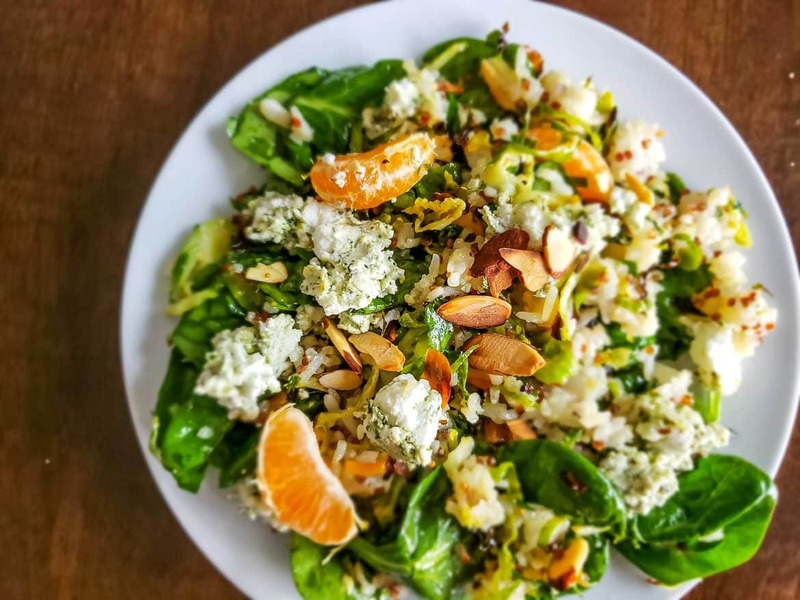 It’s an easy spinach salad with goat cheese that’s made with lots of goodness, including pesto, Mandarin oranges, and even roasted Brussels sprouts, in a tangy sweet fig and mustard dressing. Here’s what’s inside the recipe bag for the goat cheese and pesto salad (ignore the avocado – it’s not in the recipe – I rolled it in the pic by mistake). I’d say this recipe was a 10 out of 10, with lots of flavor and it only took me about 20 minutes to make. Check out the video below. The only issue I had was that the prepackaged rice and quinoa blend was packed pretty tightly, so I needed to break it up with a potato masher. I found that we had enough leftovers for one lunch meal the next day, but we’re not big eaters. 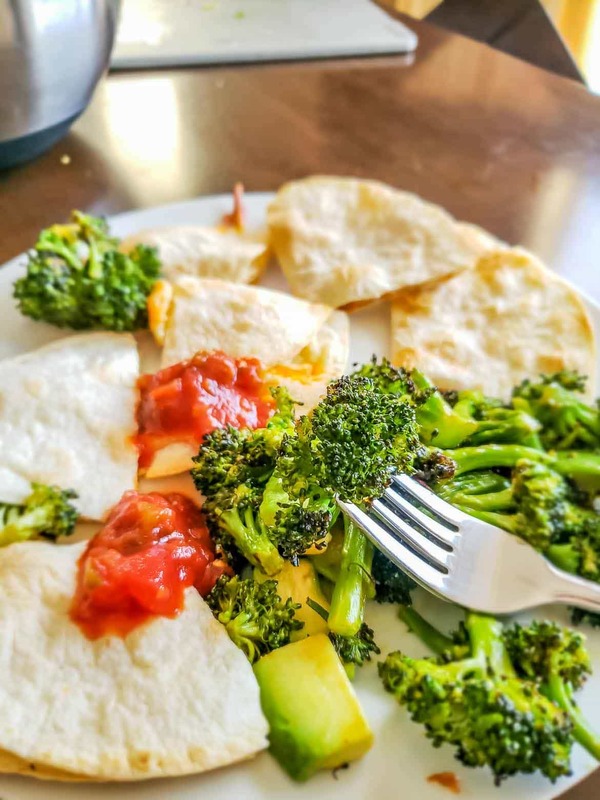 Our next recipe was the cheese quesadilla and broccoli avocado salad. Here’s what came in the recipe box, which included lots of fresh veggies and everything to make our recipe. 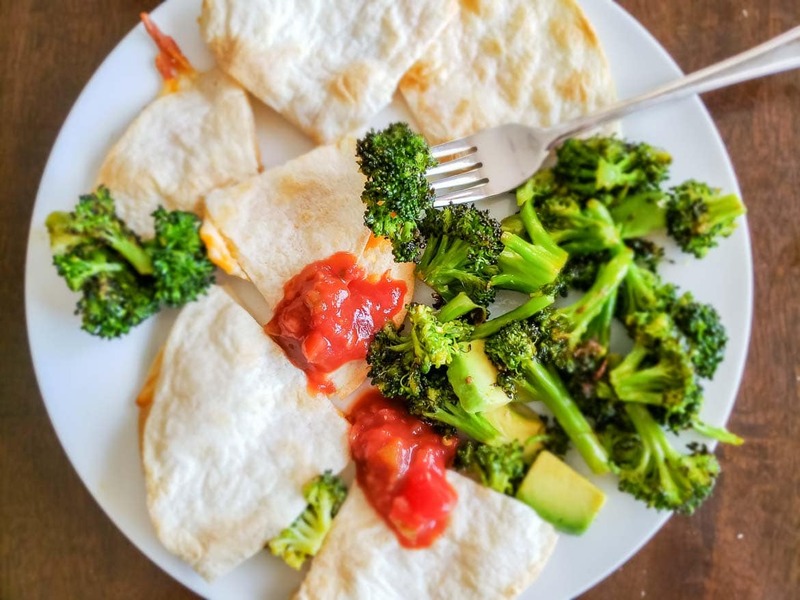 This recipe was a huge hit with my kids, who loved the cheese quesadillas! They were less excited about the roasted broccoli and avocado, but they’re kids, so that didn’t surprise me. I liked all of this, including the salsa packs that came, and the Cajun spice mix that upped the flavor of the quesadillas a bit. This one’s was a 9 out of 10 for me. Next up, was the white bean burger and kale Caesar salad. 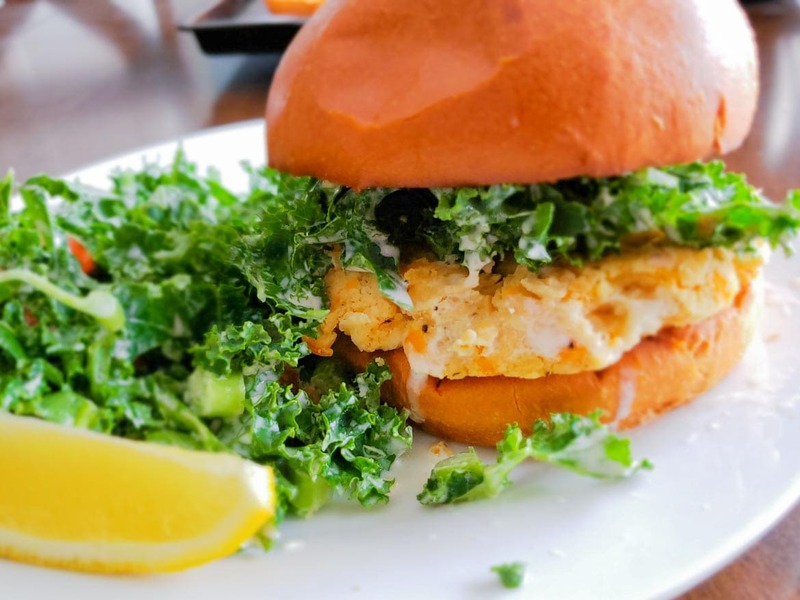 Before making the kit, I was really impressed with the freshness of the kale and the brioche burger buns. Nicely done! This was another easy recipe to make, and the white bean burgers ere delicious, and packed with flavor. The kale Caesar was huge, and made with just kale, tomatoes, and a sauce. Now, I love kale, but I don’t love kale that much. I felt that kale Caesar was a bit too one note for my taste, and I would have loved if half the kale was subbed with a different green. Of course, that’s just a personal preference – you may love it. Overall, I’d give the white bean burgers a 10 out of 10, and the kale salad a 7 out of ten. The salad was fresh and good, just not to my taste. Is Chefs Plate Canada for you? How do I cancel Chefs Plate? However, your Chefs Plate subscription auto-renews each week, so if you want to cancel your plan, skip a delivery, or pause your plan, then you’ll need to reach out to Chefs Plate before the weekly cutoff. Chefs Plate says that 100% of the packaging is recyclable. We recycled the plastic from the food in regular recycling. The box was easy to recycle by folding it down flat and recycling with paper. Bottles and other containers went in with our other recycling. Tip! Pour the gel from the ice packs into your garbage – we poured it down the sink by mistake! Overall, I thought Chefs Plate was really good. What impressed me most was that the ingredients were really fresh. We liked the recipes as well, with an overall rating of about 8.5 out of 10, which is really good, since I’m pretty picky about my food. We’re definitely going to order again, probably once of month or so, or when life gets really busy over here. If you’re ready to try Chefs Plate, use my link to get 50% off your first box. That’s a great deal! Have you tried Chefs plate? Do you have something to add to our Chefs Plate review? Let us know!